Congratulations to Architecture student, Jenna Tario, the winner of the iPad mini prize for participating in the Search Everything survey conducted in November. 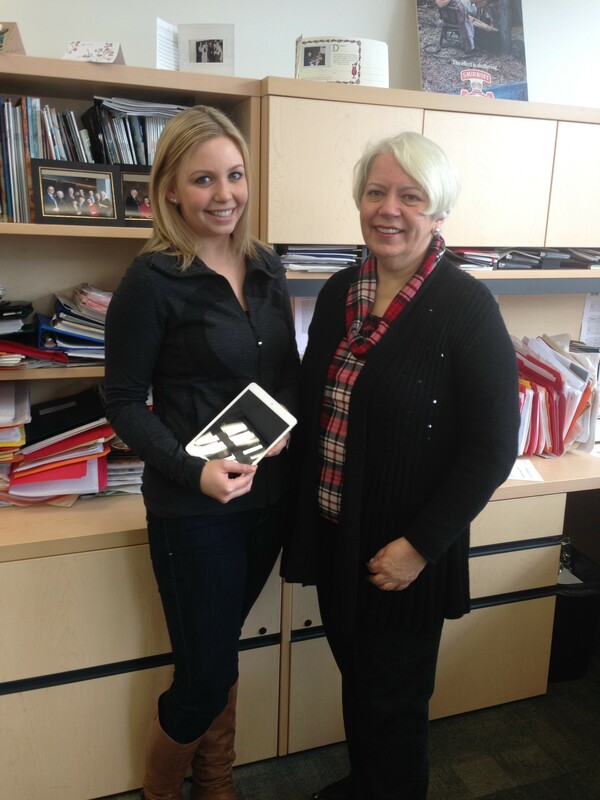 Jenna is pictured below with Chief Librarian, Madeleine Lefebvre, accepting her prize. Thanks to all who participated! This entry was posted in News and tagged prize, survey by Cecile. Bookmark the permalink.